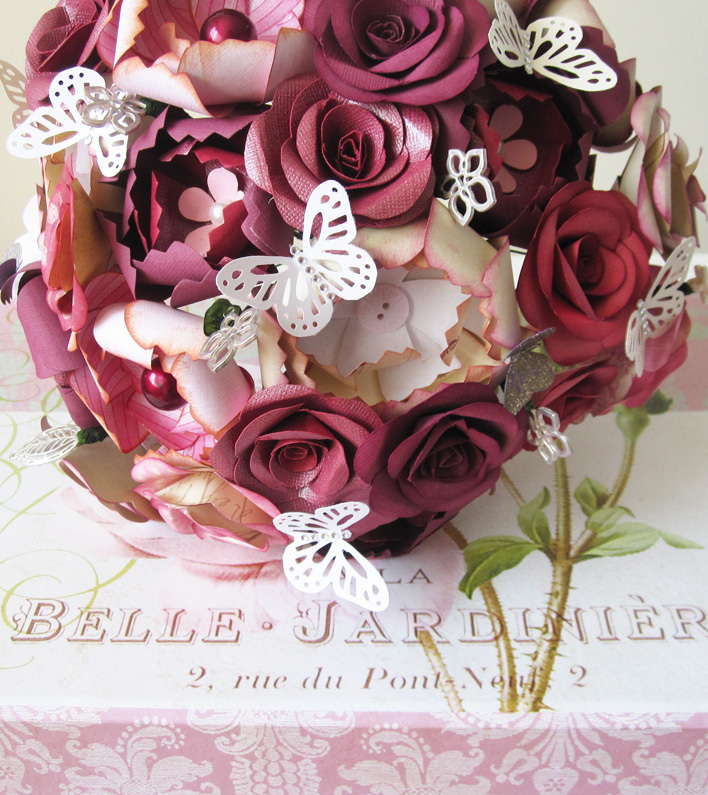 This bouquet was constructed from handmade paper flowers and butterflies to match Joslyn's vision of a vintage style, old Hollywood wedding. 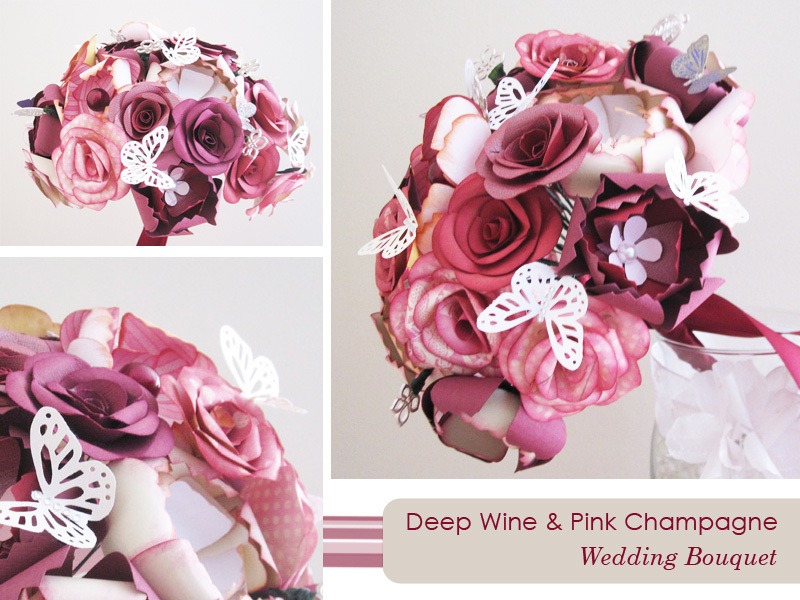 Her palette: deep red, pink champagne, mauve, etc, was the starting point for the flowers, to which I added embellishments, such as, lace butterflies with crystals, tiny glittered butterflies, metal flower charms, pearls, vintage buttons and lovely red satin ribbon. 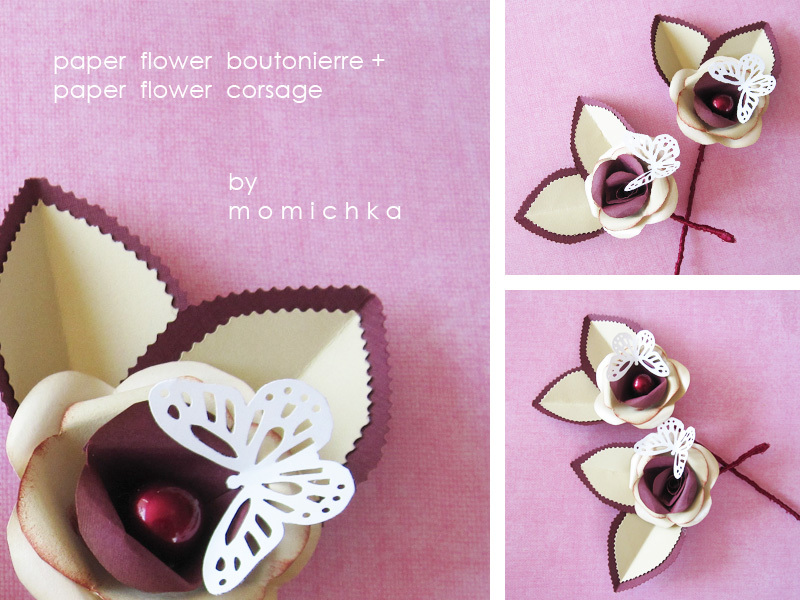 Joslyn also asked me to make her paper roses for the boutonierres and corsages for her wedding party. She wanted champagne roses with some wine accents for the centers, so I used petals in deep wine and dark red pearls. 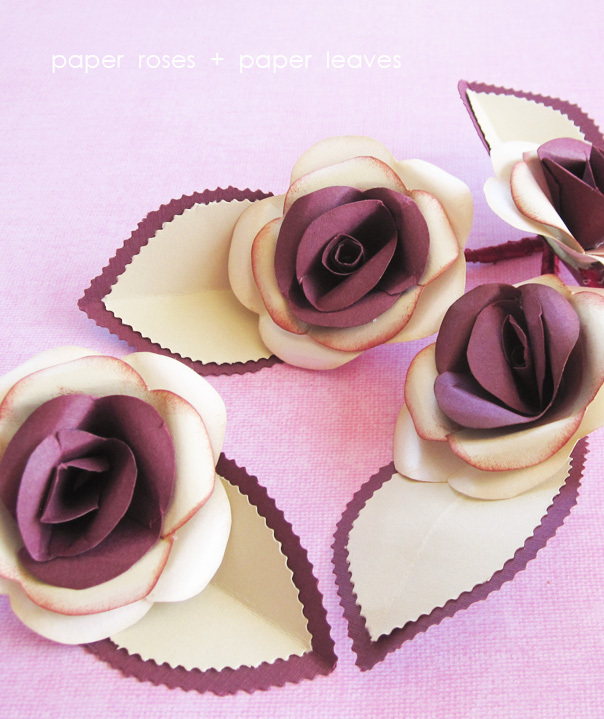 Each rose is wired and has a paper leaf made of two layers of papers. The rose petals come in three shades: shimmer ivory, champagne and deep wine. 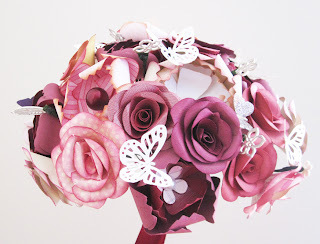 Two of the roses needed to be extra special, so I added lace paper butterflies and double paper leaves. Each flower is wrapped in deep red satin ribbon, which can be tucked into a button hole, or twisted around the wrist as a corsage.